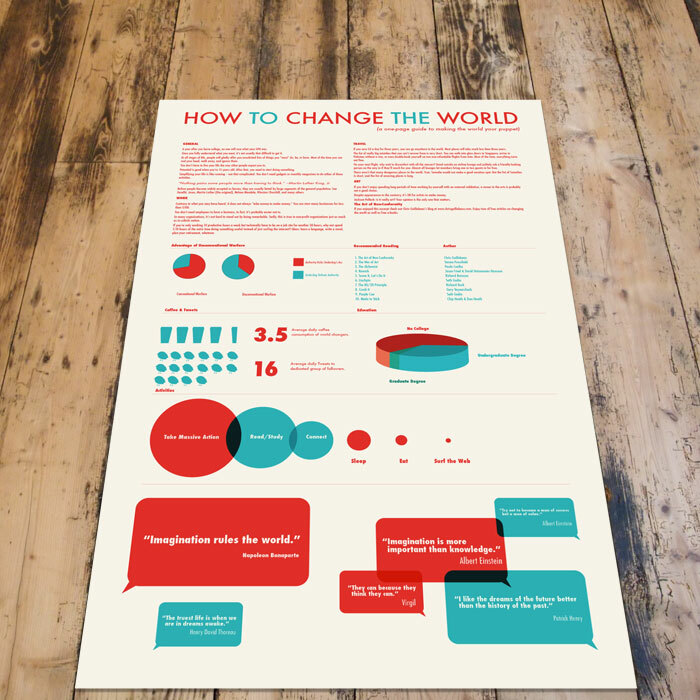 I’m a huge fan of Chris Guillebeau’s blog The Art of Non-Conformity, a blog about, in the words of its author, “how to change the world by achieving significant, personal goals while helping others at the same time.” Being a fan of infographics as well, I decided to combine the two and create an infographic called How To Change The World. 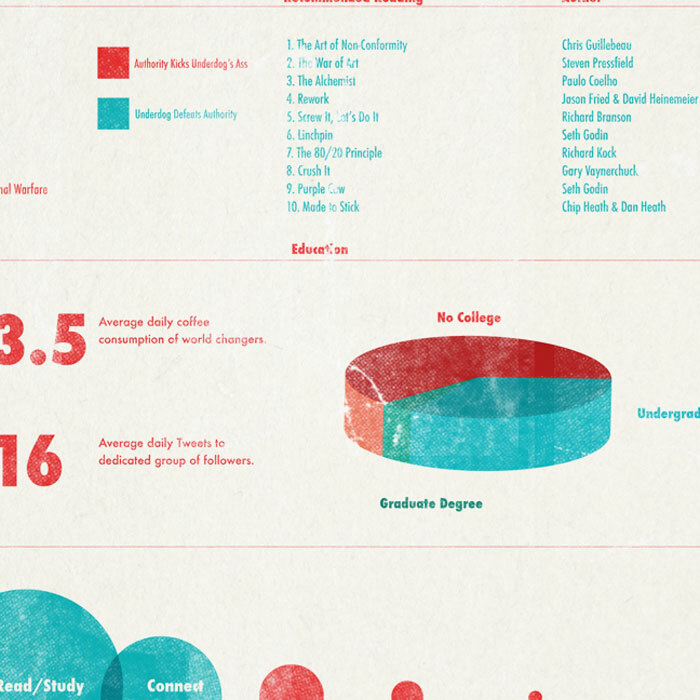 The infographic is 11×17 inches making it perfect for hanging in an office or bedroom. 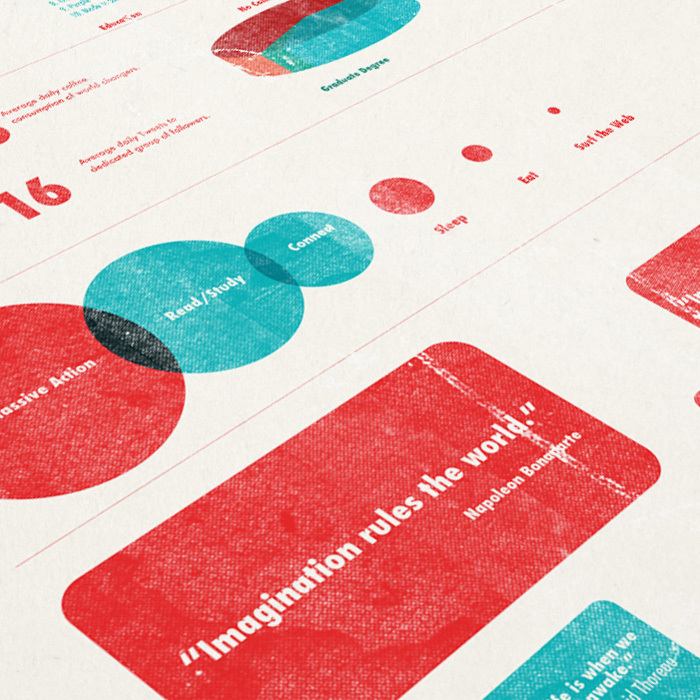 It’s packed full of ideas from Chris’s blog, inspiring books and interesting (and sometimes imagined) statistics. The Art of Non-Conformity celebrates the individual creating amazing work; I paralleled this message in the design by giving the poster a hand printed look.